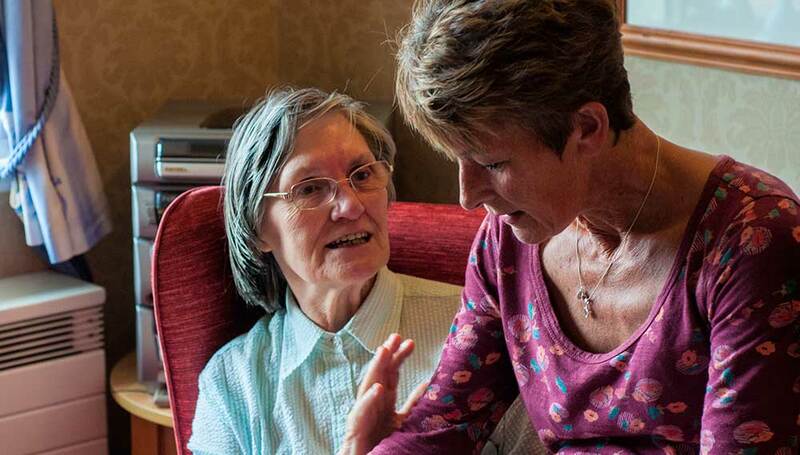 How can people who live in care homes have choice and control? Four years ago I was presenting at a Laing and Buisson conference on care homes. My presentation was towards the end of the day, talking about the importance of relationships, choice and control. Every presentation before me, without fail, focused on showing amazing dementia-friendly designed buildings and talking about good, respectful care. I felt like I was in the wrong place, with a different tribe who valued different things. However, after the conference I was asked to help to review one of these new flagship care home, lets call is Marble Manor. Two months later I travelled south to meet the people who lived there, the manager and staff. My first impression was that the building looked incredible, and as I walked in, it felt as sumptuous as a four star hotel. The bedrooms were warm and welcoming, and also had the slightly sterile feel of a hotel bedroom. At lunchtime I was invited to eat at the dining room, which equaled many of my local restaurants, with a wine menu too. I asked how people spend their time. There was an activities programme, like the Christmas decorations, that people could choose to take part in. This was extensive with music appreciation evening, and trips out. At Marble Manor, you have a beautiful buildings and gardens, and you can choose which of the activities on offer you want to do. Can we go further than this? I volunteer at a local care home a couple of times a month. If Marble Manor looks like a four star hotel, this one, Bruce Lodge, probably looks two star, but they have focused on choice, control and relationships. They wanted to see how far they could go in enabling people to have more choice and some control o ver what they did, where, who with, when, and how they were supported. Here is an overview of how they did this. What: People in the care home did not have an individual budget, and did not have any resource that they could control. Without any additional resources, they decided to give each person a ‘budget’ of two hours a month to decide what they wanted to do and who would support them to do it. When I shared this at a conference, my colleagues in learning disability services were politely derisive and challenged whether 2 hours was even worth it. When I share this at conferences with colleagues from older peoples service they wonder how Bruce Lodge could have possible done that. At Marble Manor they told me that this was not necessary as people could have staff time whenever they wanted it. This was not the reality when you spoke to people who lived there. They felt fortunate if staff spent time with them, and it was at the staff’s discretion. At Bruce Lodge it was an entitlement, and the person was in control of when and how they used their ‘budget’ of time. Where: People could use their time to go where they wanted, and we proactively encouraged people to go out. If they could get there and back within two hours they could do it. People at Marble Manor went out when a relative took them out, or when there was a group outing. When: People could choose then they wanted to use their time. People could also choose to use their time in different amounts, learning knitting for half an hour a week, going out for an hour twice a month, or swimming and tea and cake afterwards once a month. Who: People could choose who they wanted to support them for those two hours, and if they were not able to do that, the manager matched then to a staff member who shared that interest. This was one of the biggest challenge – moving from roles (“you are the key worker so you do it’) to matching people based on relationships and shared interests. This short film shares how this was achieved. How: Obviously, having choice and control over how you spend two hours a month is not enough. At Bruce Lodge everyone had a one-page profile describing what matters to the person and how they want to be supported. The ‘how you want to be supported’ became the job description of the staff. Here people were starting to direct their own support, on a day-to-day basis. This was reviewed with the person and their family. This was how one care home worked towards involving people in decisions about their life, in how they wanted to be supported (and recording this as a one-page profile), in how they wanted to use their time (a ‘budget’ of two hours a week) and who they wanted to support them. I look forward to two hours a month just being the beginning, and getting to two hours a day. This may sound unaffordable in the current climate, without extra funding. 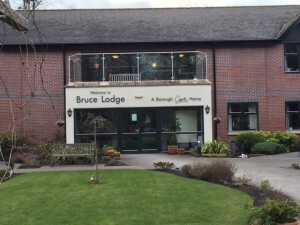 The manager at Bruce Lodge achieved this within their current resources, and in Flintshire, we are working with commissioners and home care providers to go from achieving this in one care home, to all the care homes there. If you want to know more about the ‘how’ you can read about it here. It is no surprise that older people want choice and control over their lives. This is at the heart of personalisation and the vision for care fir for the twenty-first centruy. The conference was four years ago. 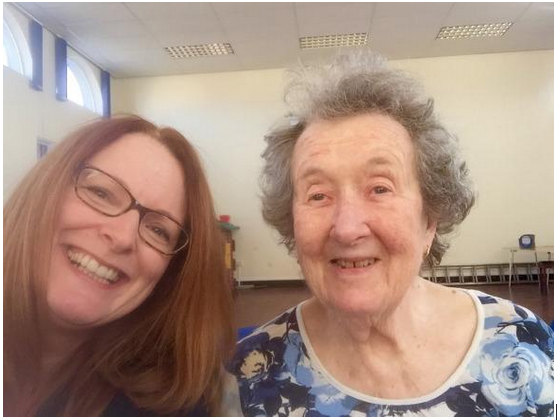 I hope that at the next conference I go that that is focussed on care homes, that we talk more about choice, control and relationships in care homes, as well as excellent buildings and good care. There was a disturbing but not surprising article in the Guardian last week on how the ‘Silent majority’ of older people do not complain about substandard care. It reported that more than half of over-65s, who have faced problems did not complain as they feared it might impact treatment, ombudsman finds. This is not just older people. When I was in hospital a few years ago, a volunteer came to my bed in the 6 bedded bay to see if he could ask me some questions about the quality of my care. As he pulled the chair next to my bed and got out his clipboard, I could see two nurses making the bed opposite mine, and the consultant was with the patient at the end of the bay. “Did everyone introduce themselves to you?” he asked. The answer was no. But I hesitated. Could the nurses hear me? I speak at international conferences, have a PhD and yet it is hard to be powerful in your pajamas and say what you really think. It is hard to be honest when you don’t know what people can hear and what would happen if the answers were not favorable. So I completely understand why over half of older people do not complain. We need to find other ways of helping people share what is not going well and how things need to change. One approach worth considering is Working Together for Change. This is a proactive way to routinely hear from patients or people receiving care, about what is working and not working from their perspective. Not only that, you co-produce the analysis and the actions with patients too. Here is an example of how one hospital, in Bispham, near Blackpool used it. As part of their commitment to working in a more personalised and person-centred way Spiral Health introduced Working Together for Change and are using it every 6 months to inform their development. This means that the person responsible for quality asks every patient to share with her two things that were working well, and two things that could be improved, about a week into their hospital stay. It often took persuasion to share something that was not working, for the same reason the article describes. What was different however, was that this information was collected from everyone, routinely, and no one could therefore be identified as a “troublemaker”. The other difference is that people were asked about what was working too. Some post hospital stay surveys may ask similar questions, but the difference here is that Cheryl, the quality lead, did something with the information immediately. This included sharing compliments with staff, as well as trying to directly address, wherever possible, whatever it was that was not working. Patients were also asked for two suggestions that they would like to see in the future in the hospital. The information was aggregated on a six monthly basis with the information from all of the patients who had been on the ward during that period. 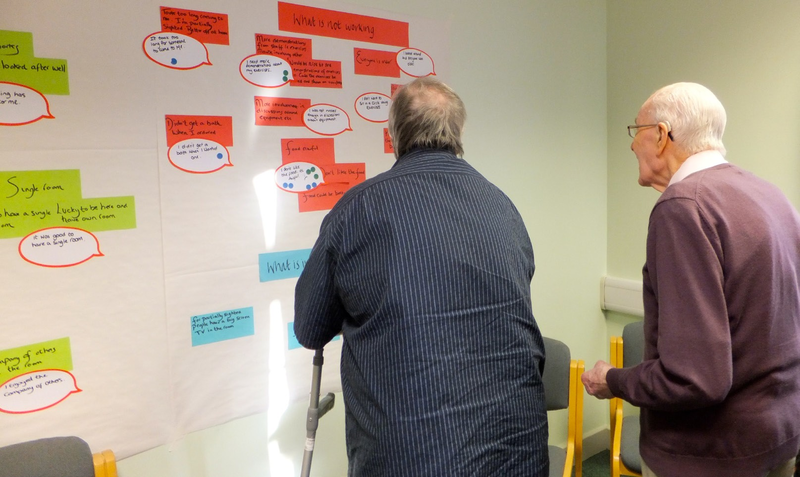 Patients were also asked if they wanted to be involved in looking at the information, understanding and acting on it. It was not fed into a computer somewhere, it was analysed by patients, and staff, together. I helped to facilitate the first time they used the Working Together for Change process. We brought together patients, therapy assistants, senior nurses and therapists, and managers for a day. As this was the first time we had used the process, we had data from 12 patients, but this was enough to start with (now it can be done with 100’s). We started by looking at all the ‘working’ information, and clustered it into themes. Three of the top ‘working well’ responses from patients at Bispham hospital were that the ‘staff were excellent’, that ‘the teamwork in the unit was good’ and that patients felt ‘calm and slept well during their stay’. The same process was used to find the top ‘not working’ and later, what was important in the future. The three top ‘not working’ responses were “I don’t like the food – it’s awful”, “I am hurried for meals and then have to wait” and “It took too long for someone to come for me”. The comments about the food were not a surprise, however this time, the patients, staff and managers thought together about what the causes were, what success could look like, and what they were going to do next. As a result the unit’s menus were altered and the whole meal-time experience improved. There are 8 steps to the full process and you can read more about how it was used in a hospital here. The same process has been used in a care home, hospice, home-care, schools, commissioners, and by national social care providers. Leonard Cheshire is using the process to inform their national strategy, and other leading social providers like Dimensions have been using the process for several years. Commissioners in Flintshire about starting to use it to gather information about care homes, and to inform their strategic planning. To help patients and people share what is not working may need a different approach where we ask everyone, and build trust by showing that we do something with the information, and patients can be part of analyzing and acting on it if they want to be. This does not mean that people will not complain, but using something like Working Together for Change may mean that we can address issues before they become complaints and create more of a culture of continuously asking what is working and not working and acting on it together. In 2004 my daughter Laura was six years old and came home from school in tears. This led to the first one-page profile, and I found myself sharing this story with 40 inspectors from the Care and Social Services Inspectorate in Wales a few weeks ago. They wanted to know about the one-page profiles that we had been introducing with commissioners, the contracts team, home care organisations and care homes across Flintshire. The inspectors had also started to develop their own one-page profiles, and wanted to learn more about how to use them, but first they wanted to know where they had come from. In 2004 Laura had been in Year 2 at the local primary school for three weeks when she came home one day in tears, saying the teacher had told her off for wearing the wrong trousers in PE. We decided that we needed to help the teacher to learn more about Laura – and quickly. At that time I was the Department of Health’s expert advisor in person-centred planning, and I knew this could be a helpful approach, but I also knew that teachers would not have the time to read the detailed plans we were using. 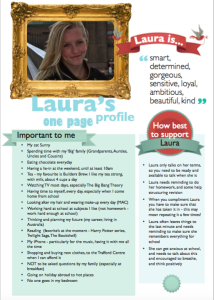 So, I created a one-page version for Laura – a one-page profile. At first we called it a one-page plan, but quickly realised that was wrong, as all plans should have actions. 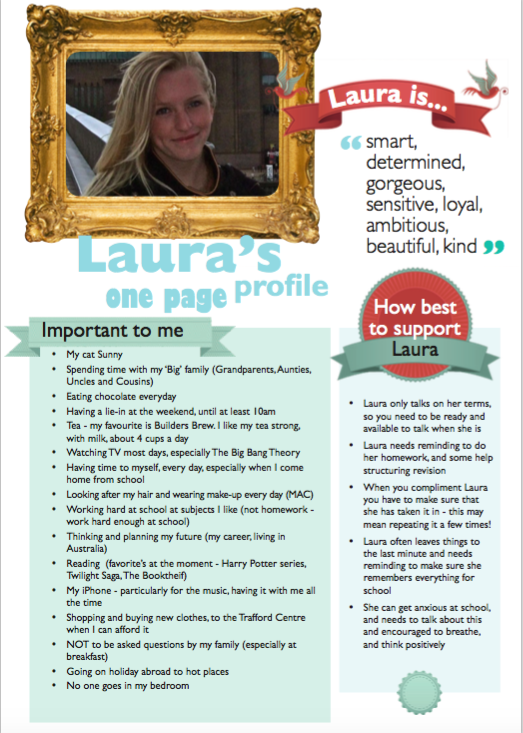 Instead, this was a person-centred summary, a profile of who Laura is and how to support her. The first part of a one-page profile is an appreciation – what people like or admire about the child. We involved Laura’s extended family in contributing to this. It was lovely for Laura to hear what her family likes an d admires about her. Then, over a hot chocolate in a café, Laura and I thought about what was important to her (the second section of a one-page profile): her yellow teddy Sunny who slept on her bed, her three cats, the stick insects and wondering if their eggs would hatch. The third section of a one-page profile is about good support, and we recorded what we know as her parents about the best ways to help and supporter her – recognising that she finds change difficult and needs lots of reassurance, and that she can perceive a small negative comment as a big telling off. Laura drew a picture of herself for the background of the profile and we made an appointment to share it with her teacher. ‘This would have been very useful to have had at the beginning of the year,’ she said. She talked about how helpful this information would be at some of the important transition times, like children coming from nursery into school, and moving from class to class. Here is Laura and her Dad talking about her one-page profile. 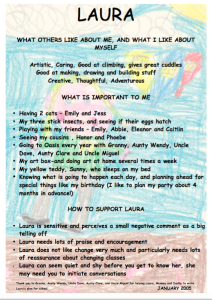 So each year we updated Laura’s profile with her and her teacher, and Laura drew a new picture or chose a photo of herself, and her one-page profile helped her move from class to class. Here is one of her more recent one-page profiles, ten years later. Back when Laura was six, and I was nervously sharing her first one-page profile with her teacher, I would not have believed in a couple of years every child at the school would have had a one-page profile and had even made a film about it. 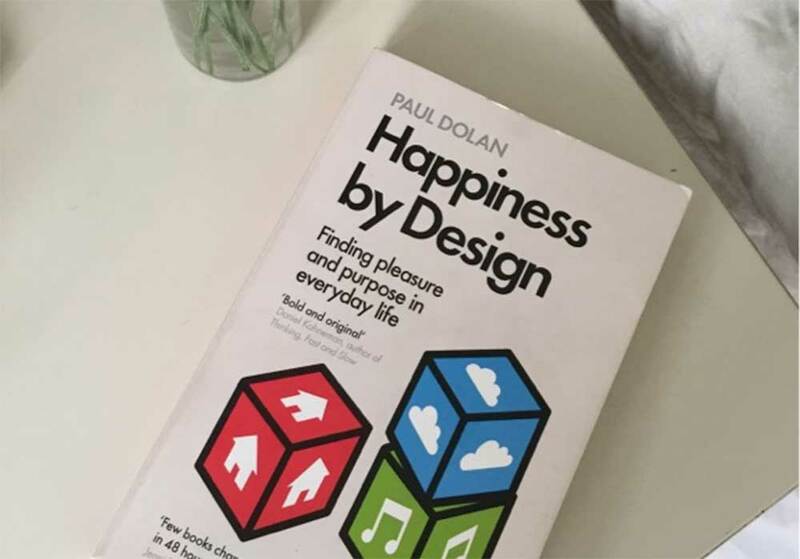 Now in 2016 many hundreds of people would have created one-page profiles – in schools, care homes, offices, hospitals – and that they would have become a powerful and valuable tool in giving people choice and control in many situations. The Social Care Institute for Excellence have an award winning web-resource that supports people to develop their own one-page profile. There is also a website where you can see 100 one-page profiles and read about the difference they have, and later this year we will be able to share the research that demonstrates that they make it more likely that people have greater choice, and the positive impact on relationships. In Flintshire, one-page profiles are part of a cultural and system-wide change that is being introduced in services for older people in response to the new Welsh Social Care and Wellbeing Act that will come into force in April. The act requires that we understand what matters to people, and one-page profiles are a way to deliver this. We need powerful, simple ways to clearly communicate what matters, and now, with Max Neil and colleagues, we are exploring what one-page of information could mean at the end of our lives as well. End of life wishes – on one page? One of the most powerful books that I read last year was Atul Gawande’s Being Mortal. I loved it so much I bought copies for friends and colleagues. My friend Max also read the book, and yesterday posted one of those blogs that makes you hold your breath. He wrote about the impact that the book has made on him, and his thinking about the end of his life. The term outcomes always generates debate and often confusion. As a team, we wanted to get clear ourselves, and then find ways to help others understand how to develop person-centred outcomes. 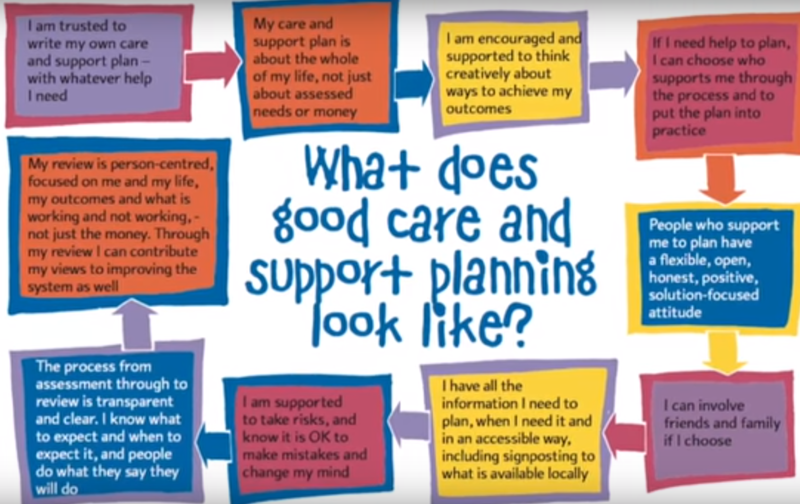 In this longer blog I’ve described the eight steps that we developed to enable people to develop person-centred outcomes. Co-production: What does good look like? Co-production – where service providers and users work together as equals to develop and deliver services – is at the heart of the way I try to work. But how do we measure how effective it is for everyone involved? Put it another way, what does good look like? Today I saw co-production in action. Commissioners want to achieve a different experience for patients. 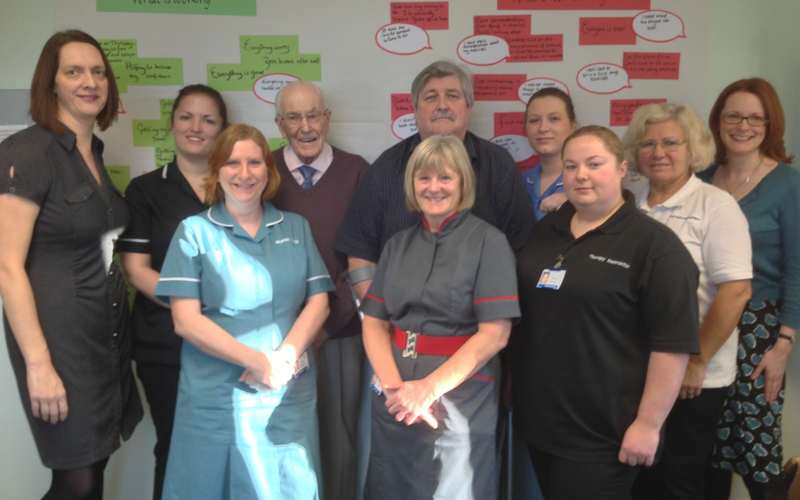 They worked with a patient champion group to develop the tender. Together they defined the outcomes and experience that they wanted to see delivered.